You’ll be cradled by Maurilio Garola, Marco Lombardo and many young players’ cuisine, among traditional dishes from Piedmont, some raid on the French cuisine and a good dose of maritime products, where everything is perfectly mixed, products are always top level and the dishes are home made. 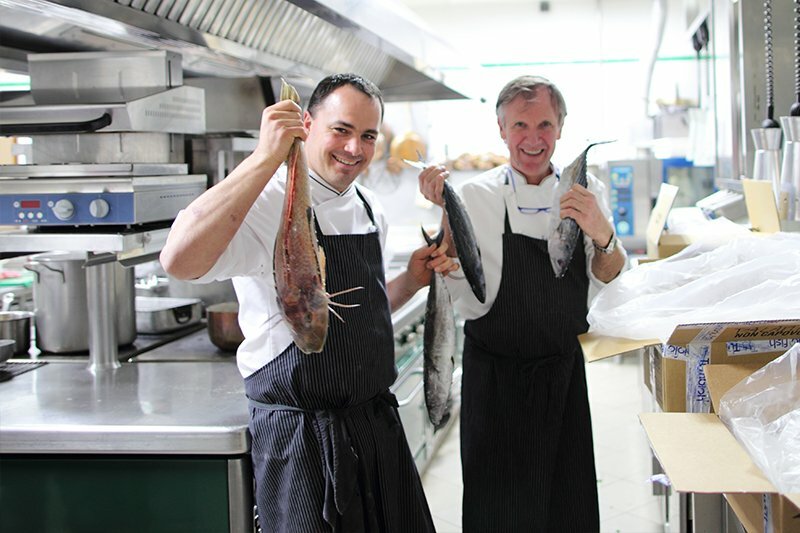 Maurilio Garola loves the taste of tradition, he makes his Michelin star shine over the products from Langhe, but he’s mostly passionate about fish, inspiring his creativity, allowing him to glorify the taste of the Italian Cuisine. The attention over the choice of top rated products is a must at the Ciau del Tornavento, starting from the meat, very select and zero-mile. Among the specialties on the table, there are the offal, the guts and some other very typical product, such as truffle. "Here, the client must feels like home", Maurilio and Nadia say. A philosophy shared also by Marco and Cecilia, who work with them. Ciau del Tornavento doesn’t simply offer a memorable meal to their guests, but also many expedients that makes this restaurant a unique place. Our cuisine is made of great local products, carefully selected in order to offer high quality.